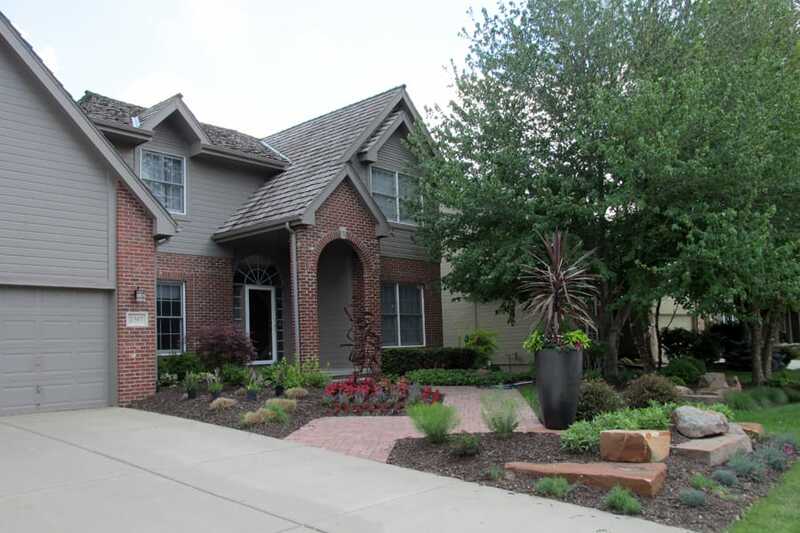 Create curb-appeal that stands out against the sea of sameness. 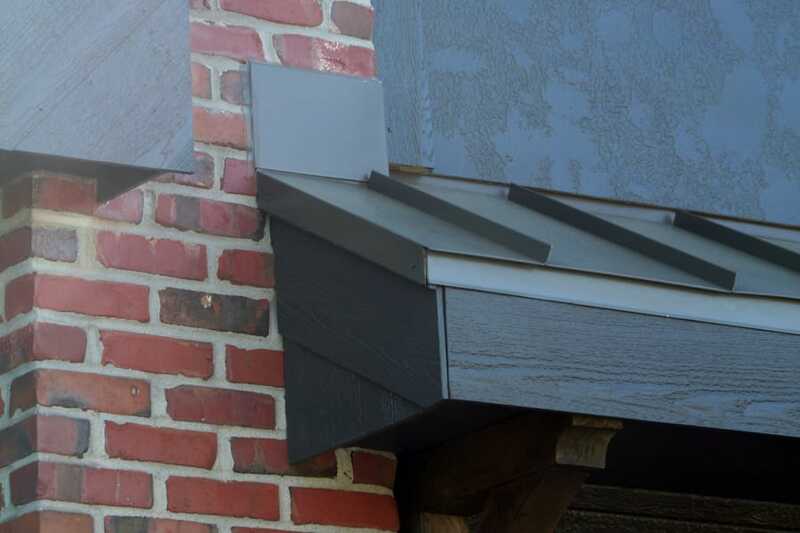 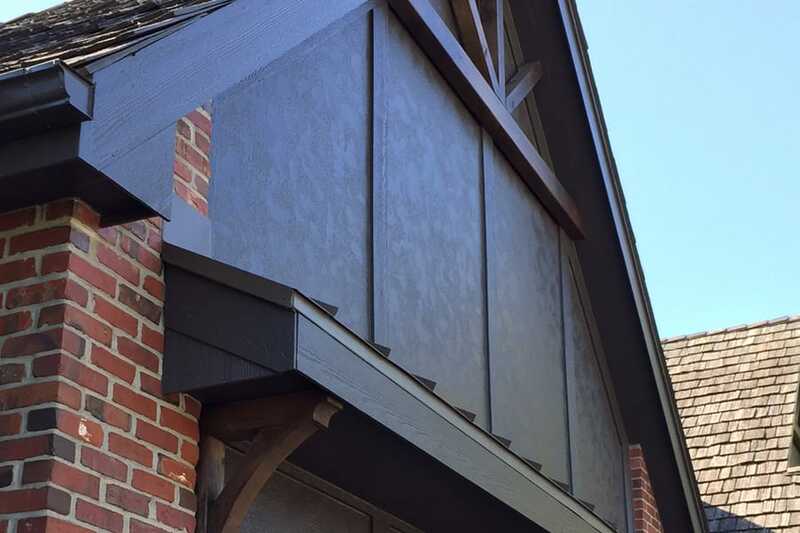 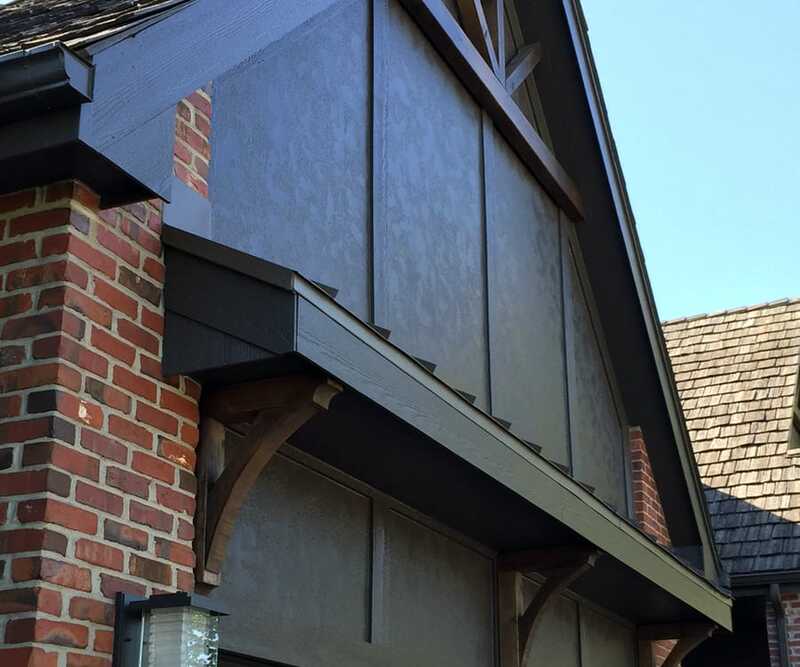 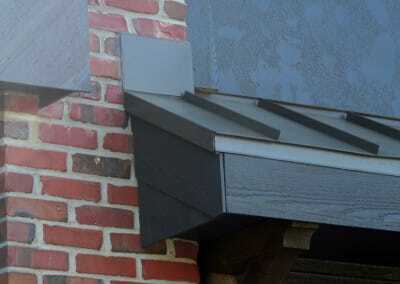 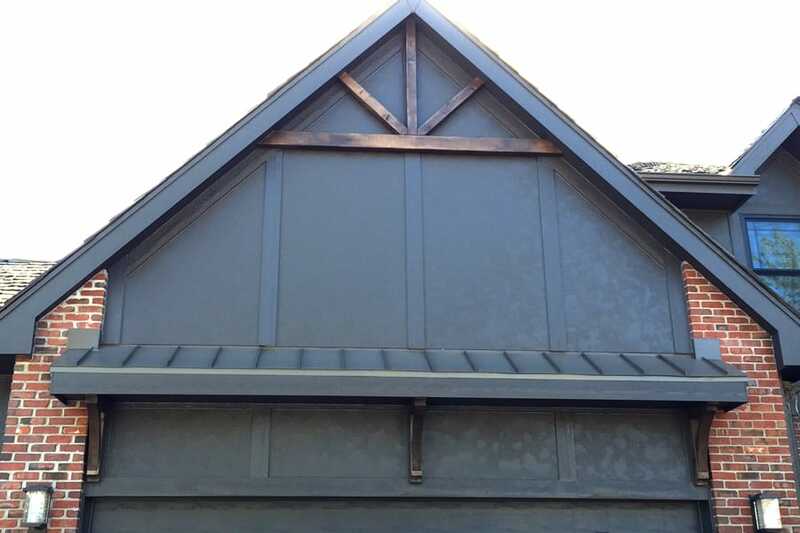 An area that was once just horizontal lap siding now offers greater visual appeal with the addition of a metal-clad eyebrow roof, supported by custom wood brackets. 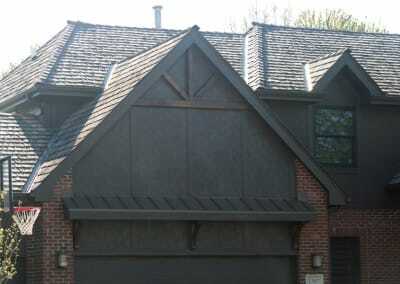 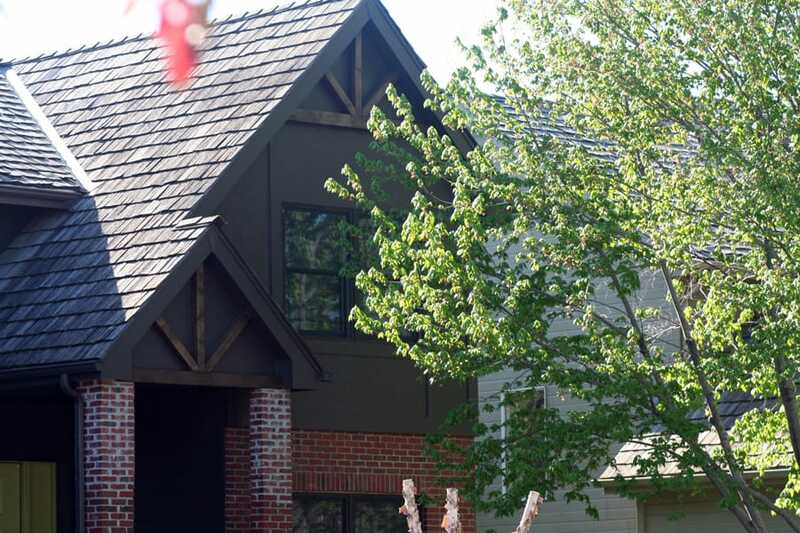 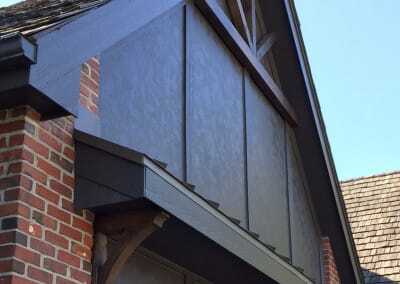 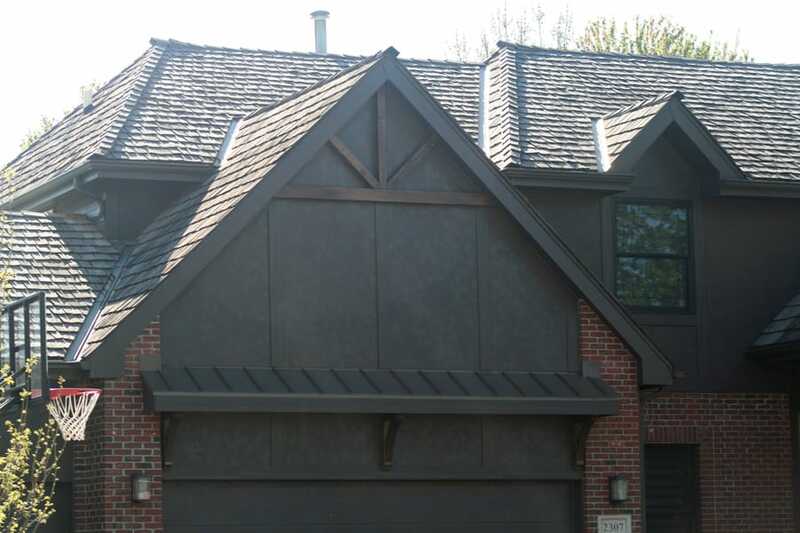 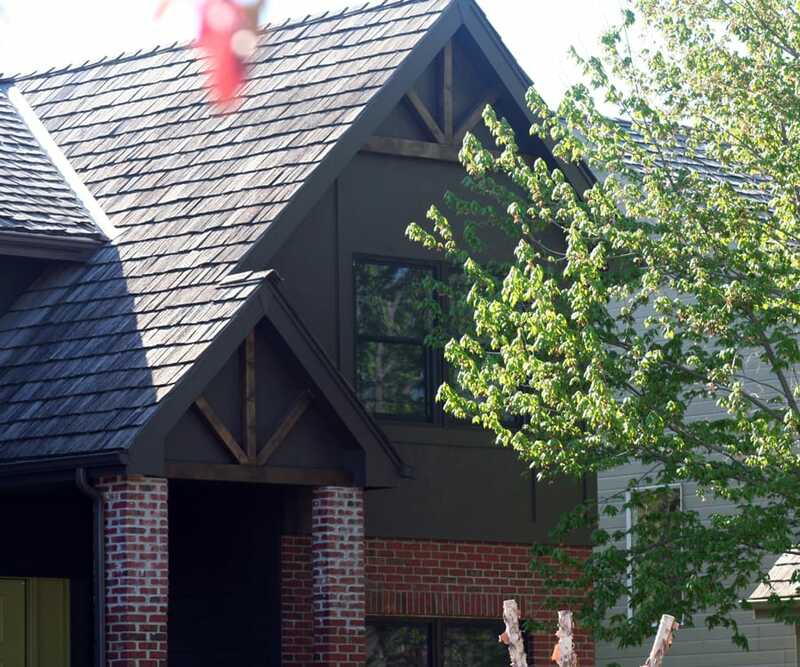 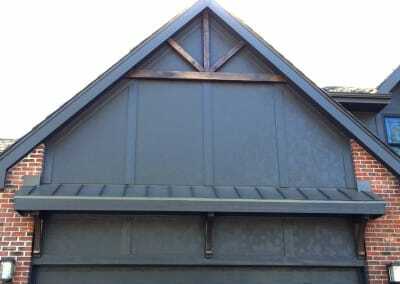 Stucco siding board and battens serve as the back drop to the wood-truss detail at the top of the gable. 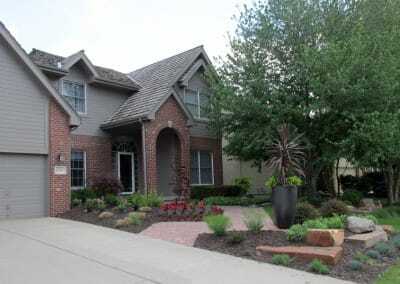 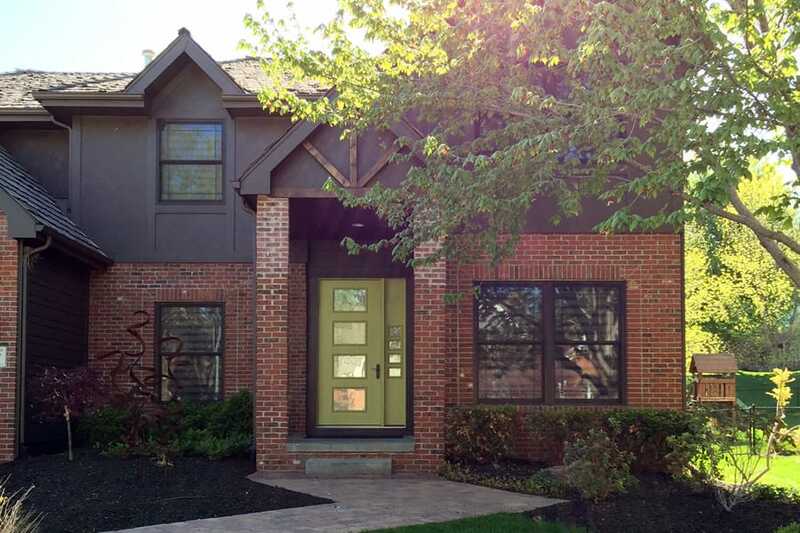 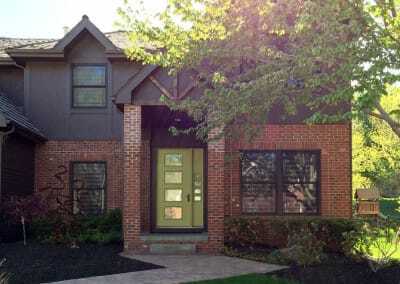 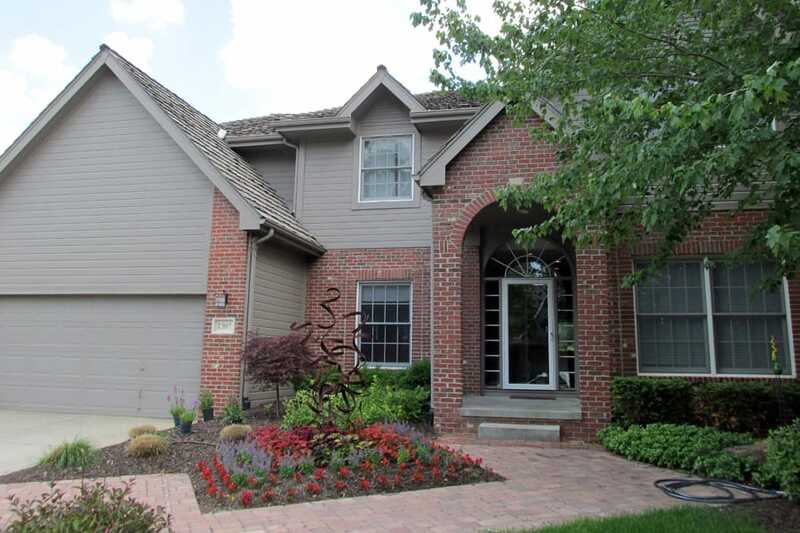 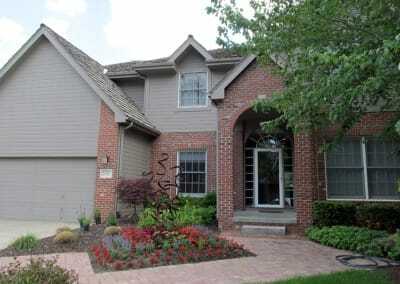 Here the brick arch entry is replaced with stucco board siding, along with the repeating wood-truss detail to unify the front and complete the clean transitional exterior design. 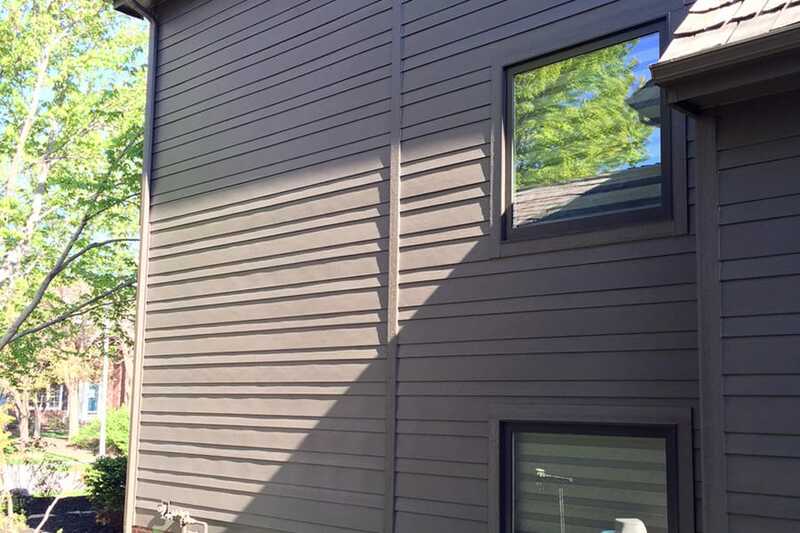 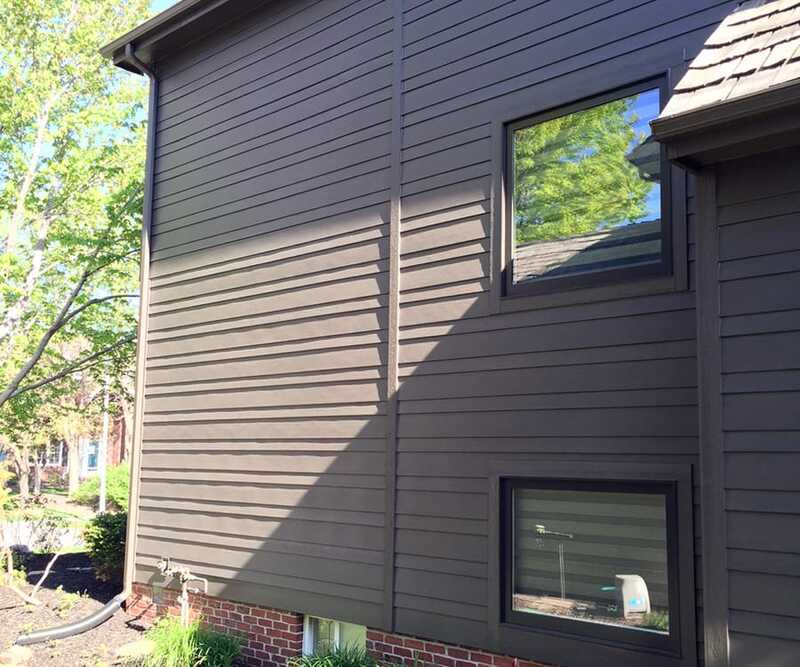 While not visible from the street, the home’s single-size lap siding was replaced with alternating sizes to add visual interest to what would otherwise be uninterrupted, equally spaced horizontal lines.